Age spots are a result of sunning, rather than aging. These spots—also called sunspots, brown spots or liver spots—are flat, uneven dark patches on the face, neck, chest, hands and arms and other areas that are regularly exposed to the sun. Though usually harmless, these blotchy brownish patches can make you look and feel older than you really are. 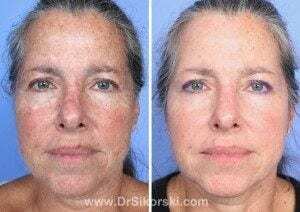 Thulium Laser Treatment is a “fractional” treatment that produces thousands of deep, tiny columns in your skin, called microscopic treatment zones (mtz). 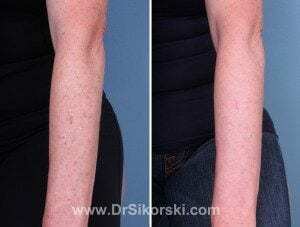 The term “fractional” means that only a percentage of the skin surface is affected with each pass of the laser. Fraxel intensively treats only some of the epidermal cells without affecting all of them. This method of fractionally treating the skin reduces healing time and promotes the skin’s natural process for creating new, healthier tissue to replace the damaged cells. 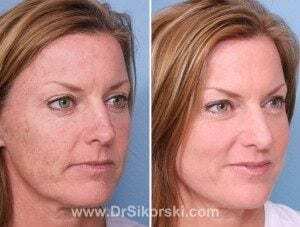 Whether your problems are pre-cancerous areas, sun spots, age spots, rough skin, wrinkles, acne scars or surgical scars, Fraxel Thulium laser treatment offers improvements that previously were only available through more invasive laser procedures, which often required extensive healing and discomfort. 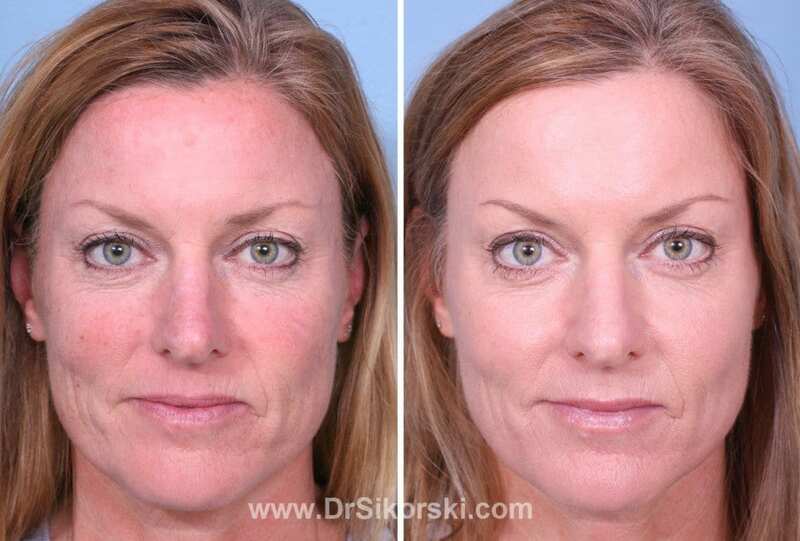 If you have any questions regarding your skin or the Fraxel Thulium treatment, contact our office at:949-448-0487.